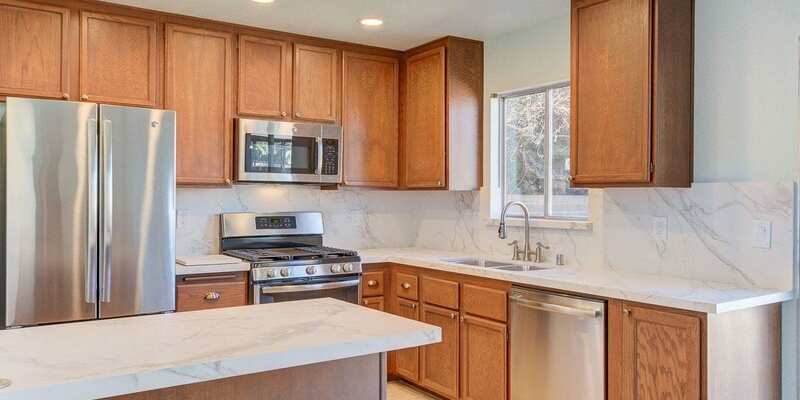 For some reason the one room that most people seem most eager to remodel is the kitchen. It’s probably because the kitchen is such a creative place and much used space. And generally, it is well lit, so you can see any blemish or flaw that is there. 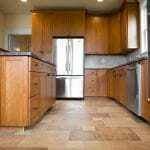 If the kitchen is next on your renovating list, you need some guidelines for how to plan your renovating project so when the job is done, you achieved your goals. And whether that means you have the “kitchen of your dreams” or that you just fixed some problems with a kitchen that has gotten run down over time, your renovating project can address those needs. Before you buy the paint and start pulling up tiles from the floor, a serious planning session of what you want in your new kitchen is in order. The list may get quite long but it’s a healthy exercise to “blue sky” what the perfect kitchen might look like. After that exercise is done, you can start to come down to earth by detailing each “dream change” into tasks that must be done. So, the dream to “open the kitchen up” might include putting in a skylight, knocking out some walls and painting the kitchen with brighter and happier colours that make the room look bigger. If you have 20 ideas or dreams for what the perfect kitchen will look like that could break out into 100 task steps that must happen to make each of those dreams come to life. The value of all this categorizing is that just that little exercise in organization could surface steps that are counterproductive. One goal might call for you to take out a wall and another may need that wall to hold shelves. So right away, reality has stuck its nose into your plans and some adjustments must be made. But these are all good planning steps en route to your perfect kitchen. The next confrontation with reality is the time frame and budget that you might have for your kitchen renovating project. Do you hope to do all the work yourself? If so, how much time will it take, and can you fit the project in with your work and family responsibilities? But the most important consideration is what you can afford. This doesn’t mean that you must cut all of your dreams from your kitchen renovating plan. But because you took some time to sort and arrange both the bigger goals or dreams and the individual tasks it will take to achieve those dreams, you now have some detail to work from. Now you can lay out a schedule of work you can do in the next big kitchen renovating effort. 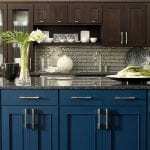 You can decide what you can afford this time to make a good step forward toward the perfect kitchen. The rest can be saved for the next time you have time and money to take another step. In this way, step by step you reach toward the goal of the ideal kitchen of your dreams. You might never get there entirely. But you sure will have fun trying. The kitchen is about a lot more than just the place where you keep the food. It is where a lot of conversations take place, where mom helps the children with their schoolwork and where much of the life of the family happens every day. When you think about it, it is strange that a room dedicated to the preparation of food has such an importance to family life. But clearly everybody gravitates to the kitchen, which is often a very busy room. The same thing happens when guests come over. Even if you have a wonderful entertainment room or living room where guests are encouraged to gather and socialize, they will naturally gravitate to the kitchen especially if that is where the hostess is preparing the evening meal or snacks. But even after the food or drinks are ready, people tend to “hang around” in the kitchen and much of the activity of a night of social activity will happen in that room. The old phrase “if you can’t beat them, join them” applies here because since for some reason, humans love to be with each other in the kitchen, you might as well plan for that when you make your plans to remodel this very important room to family and social interaction. Step back and look at the kitchen as more than just a place to cook food but as a social centre. 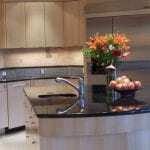 That one change of orientation can alter how you remodel your kitchen entirely. 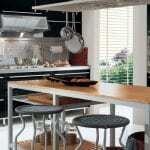 The installation of an island, for example, is a way to centralize the cooking process. In other words, since the one preparing the food can stand at the island and face the entryways to the kitchen, he or she can continue to be social as the food preparation is underway. In fact, an island invites the guests or family members to come to the counter and either help or sample as the food is prepared. It is the ultimate social centre and this one step can vastly improve the social possibilities of your new kitchen. Other improvements you plan for your new kitchen should facilitate movement and congregation in the kitchen without interfering with the food preparation process. Make the entryways between the social rooms of the living room or the dining room wide and welcoming so people can flow from room to room easily. Provide openings in the walls so the cook or others in the kitchen can converse with those in the other rooms. Provide lots of light to make the room look happy and large which encourages conversation. These steps will take what is already an instinct of people to socialize in the kitchen and go it one better by turning the kitchen into a social centre. When you do that, you will find your social times flowing easily from room to room and your remodel will have made your home an even better place for entertaining and family times as well.